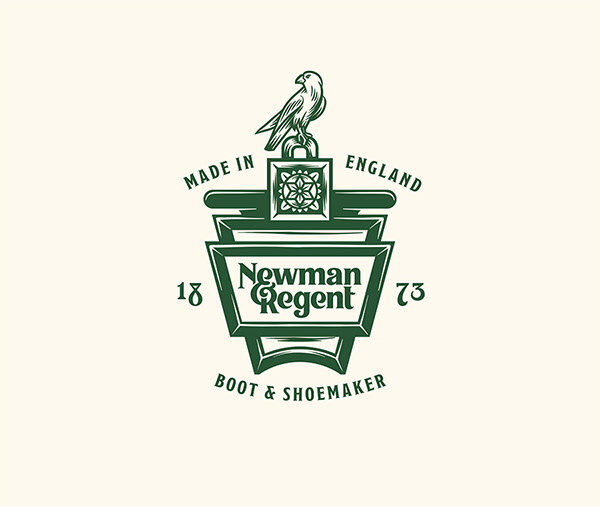 I was asked by Ken Hall Ltd. to create a logotype and crest device for Newman & Regent, their new shoe and bootmaker brand hailing from Northampton, UK. 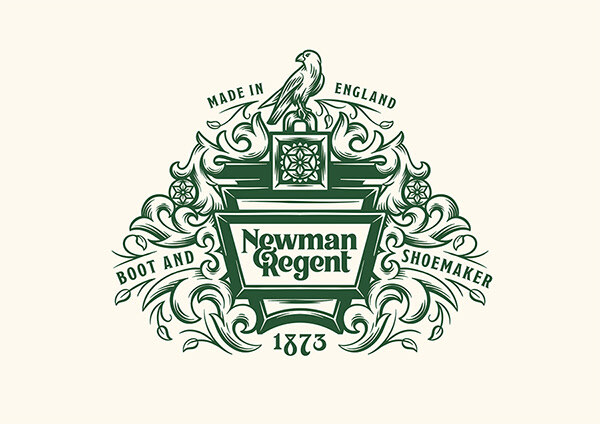 Ken Hall have a rich history of shoemaking, and wanted to take cues from the architecture of their factory, in existence since 1873, as well as nod to the stellar reputation of Northamptonshire as a traditional hub for the highest quality cordwainers. 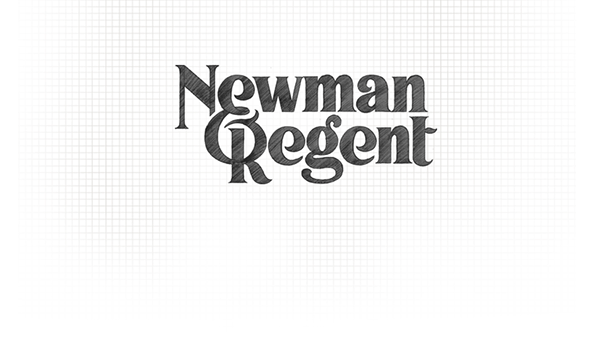 Thanks to the Newman & Regent team for their trust over the course of the project. 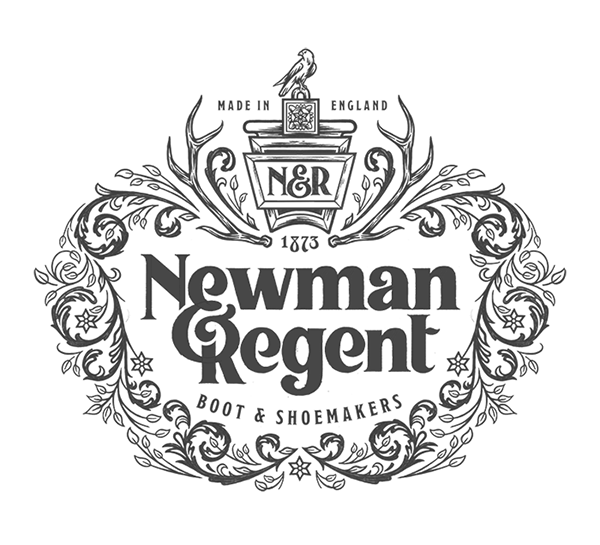 Besides the logotype, the Newman & Regent team also wanted some kind of crest or roundel device. 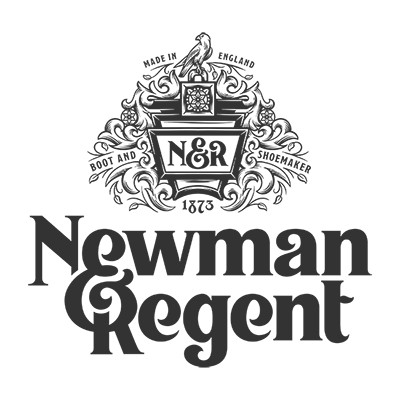 So my next job was to explore some routes for that element, which would not only work as a stand alone element but could be combined with the existing logotype. 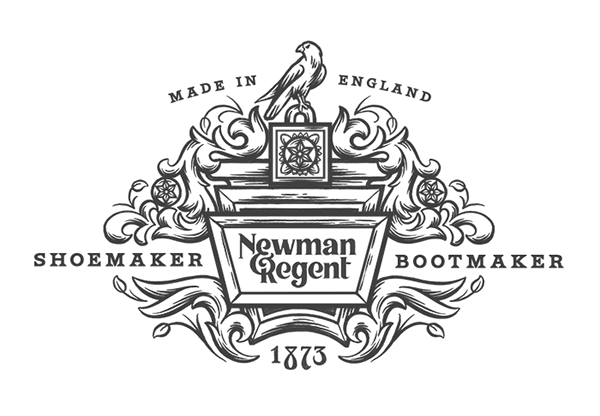 The Rose is synonymous with Northamptonshire, so we used that silhouette as a starting point here. Continuing on the floral theme, but this time to form more of a crest type device. We also took inspiration from the lantern shaped keystone above the entrance to the factory, to create a central element within the crest. The idea being that this keystone could be used on it's own as well as within the crest. 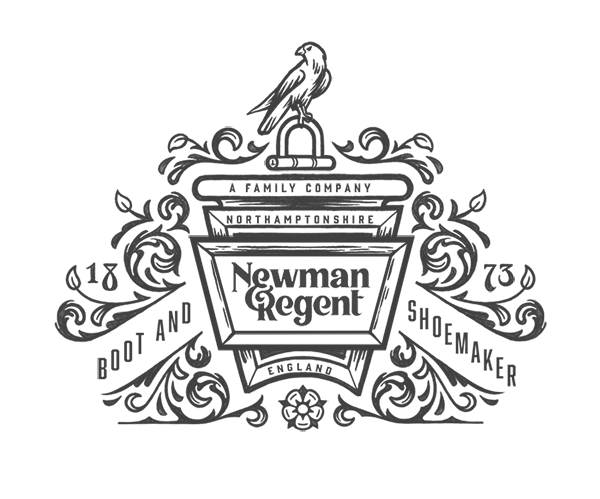 This version uses the keystone from the factory as a focal point, with the Silver Falcon perched atop of it, a bird derived from the heraldry of Edward III. The client eventually chose another version with the keystone as the main focal point, but with a slightly different approach to the floral ornaments. 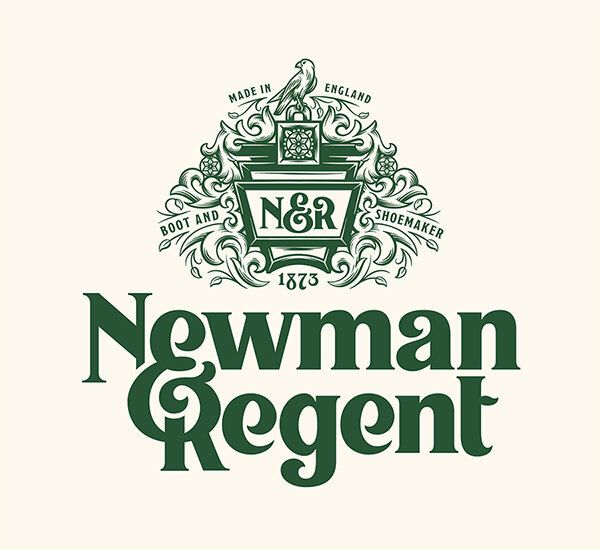 I also included a rosette motif, also borrowed from the front of the Newman & Regent factory building, on which the Silver Falcon could perch. 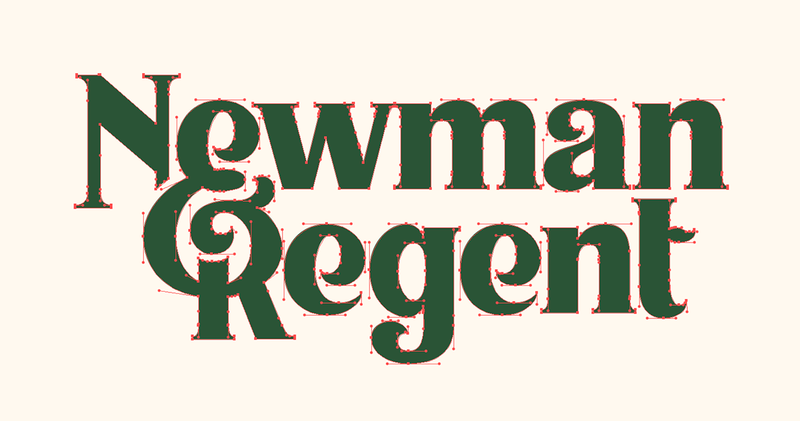 Bespoke logotype and crest for Newman & Regent, a shoe and bookmaker from Northamptonshire, UK.